Second Tuesday of the month, 5:30-7 p.m.
"I also wanted to tell you how much we enjoyed last evening. It was a very well attended event and everyone was extremely welcoming. We look forward to attending many more." ~ Kathy Lee, Berkshire Hathaway HomeServices Verani Realty. Yes! 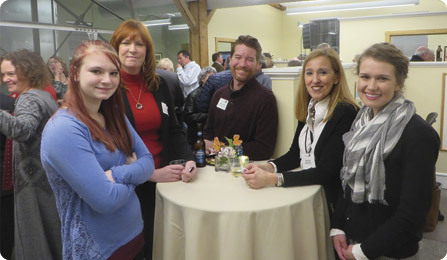 The Greater Concord Chamber of Commerce offers quarterly Business BEFORE Hours a.m. networking opportunities .